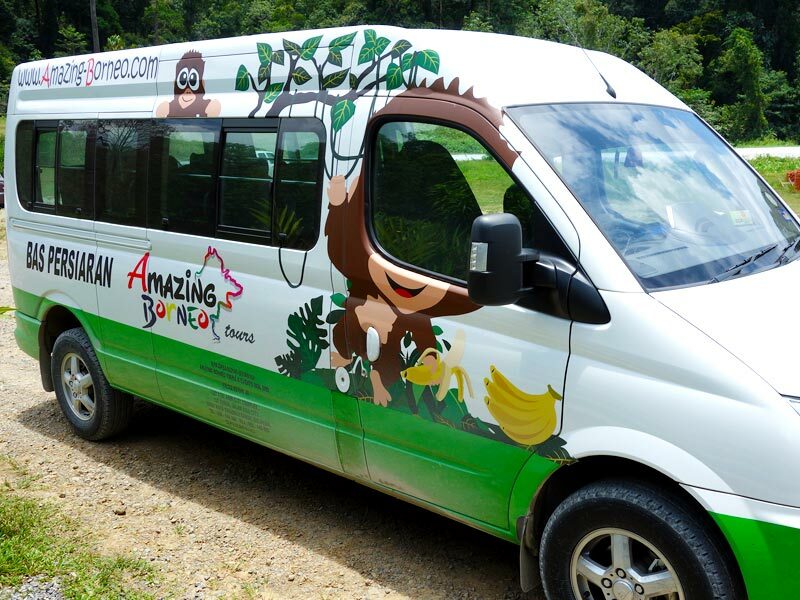 Amazing Borneo Tours is a licensed land tour operator based in Sabah, Malaysia, supported by Malaysia and Sabah Tourism Board. 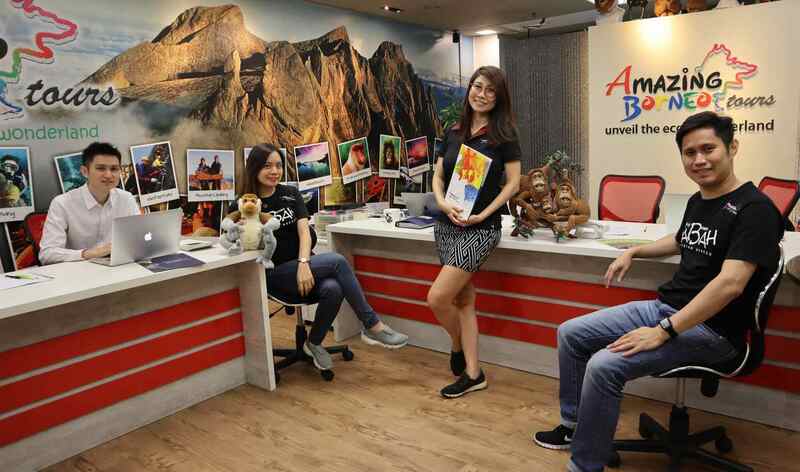 With more than 20 years' experience in the tourism arena, our team here at Amazing Borneo Tours are made up of travel enthusiasts, avid thrill-seekers, adrenaline-junkies, beach-frolics and specialists of adventure and discovery. 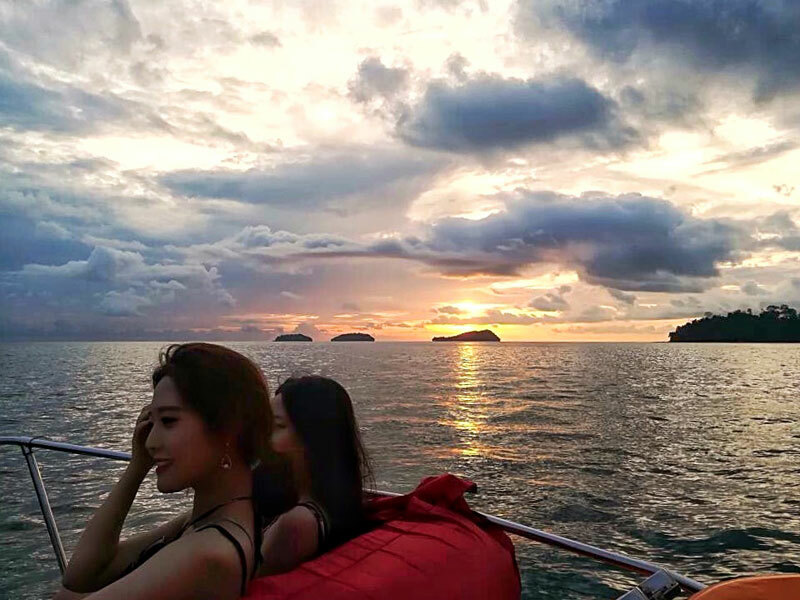 We aim to educate and surprise our guests with Sabah's untouched and conserved natural wonders and are focused on helping our guests customize their own travel packages and experience. 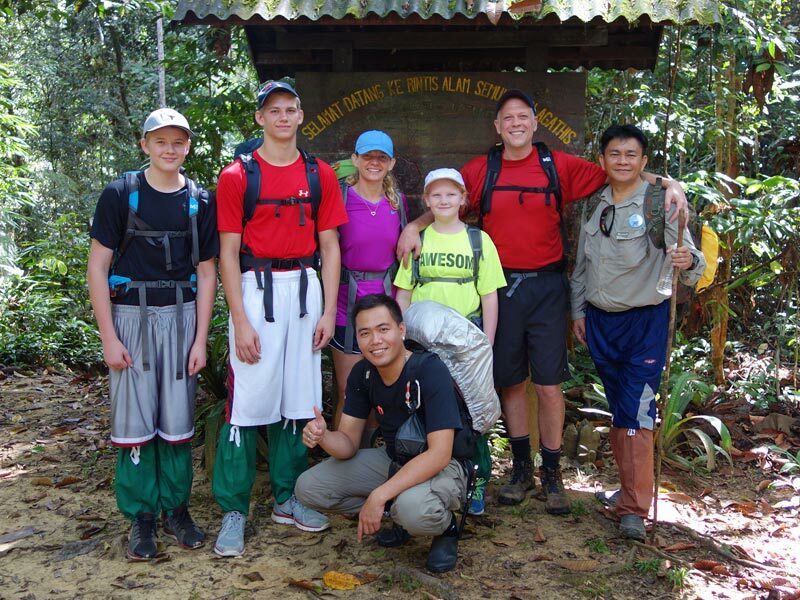 As our travelling guests discover the treasure coves of the mountains, experience the tranquility of the waters, and are welcome by the hospitality of Borneo's warm and friendly people, they are able to appreciate and help protect and preserve the natural environment, which it may otherwise be destroyed. 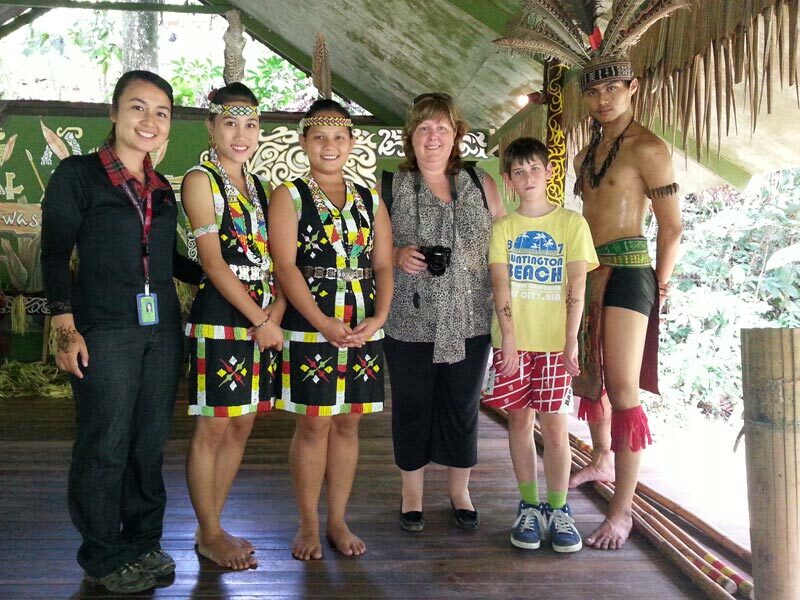 When holidaying with Amazing Borneo, visitors get to share our culture and environment. 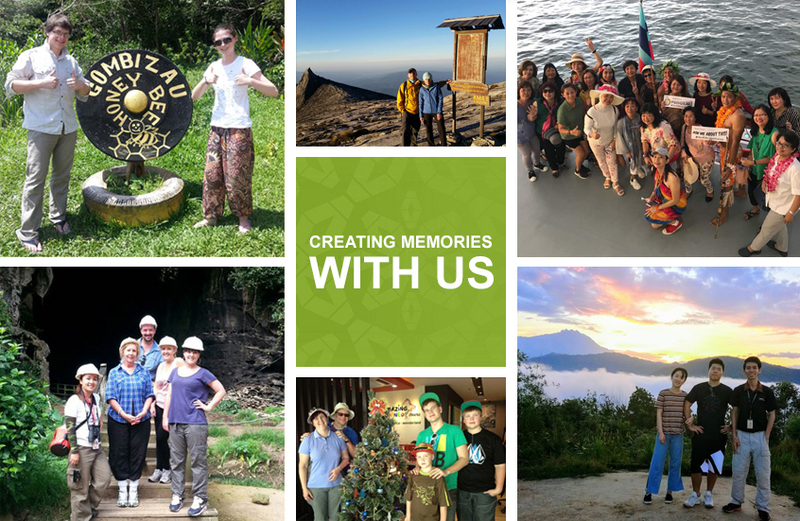 Our guests will not only leave Sabah with an unforgettable experience, but also with an enriched mind filled with knowledge and happiness that will be etched for a long time... This is really what travel and touring is all about. 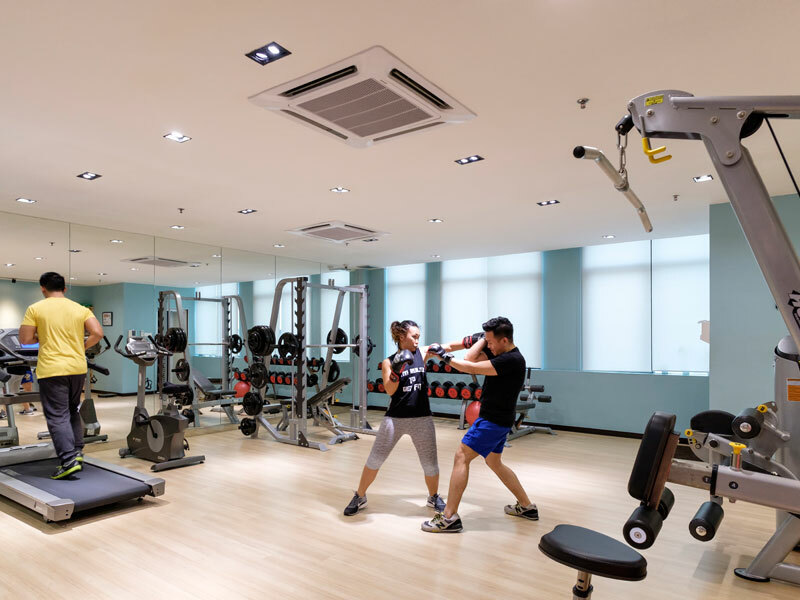 Our vision is to become one of the most recognized and valuable brands in East Malaysia. 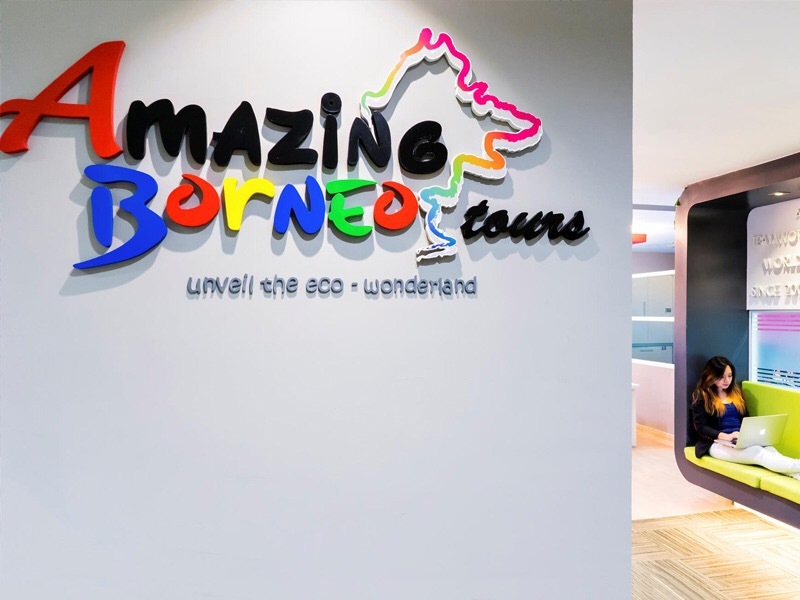 The primary goals of Amazing Borneo Tours are to live our mission statement, strive to gain the respect and trust of our guests, and continue to be a leader in the tourism industry. 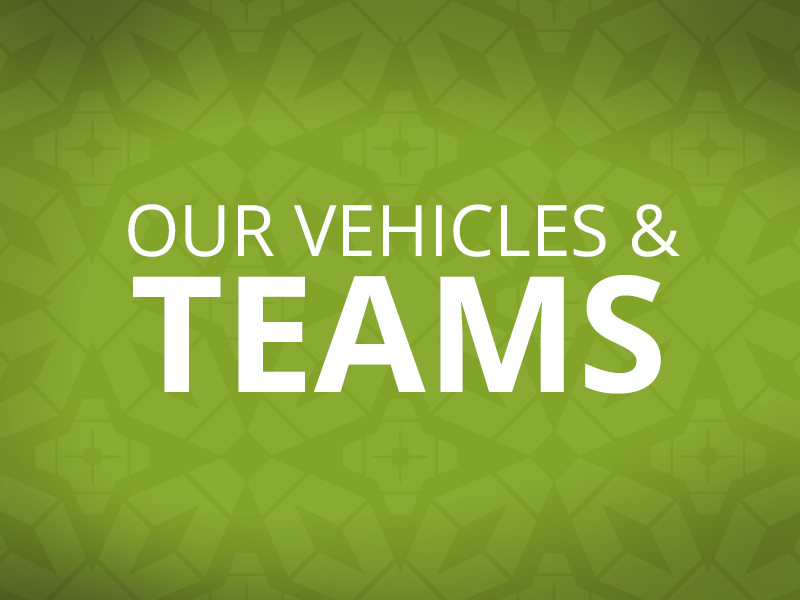 We achieve this through dedicated hard work and commitment from each and every individual of our unified team members. 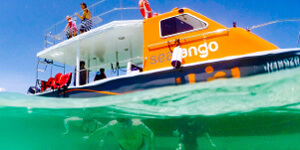 Our mission is to deliver an unmatched quality of service and an unrivalled touring experience for you. 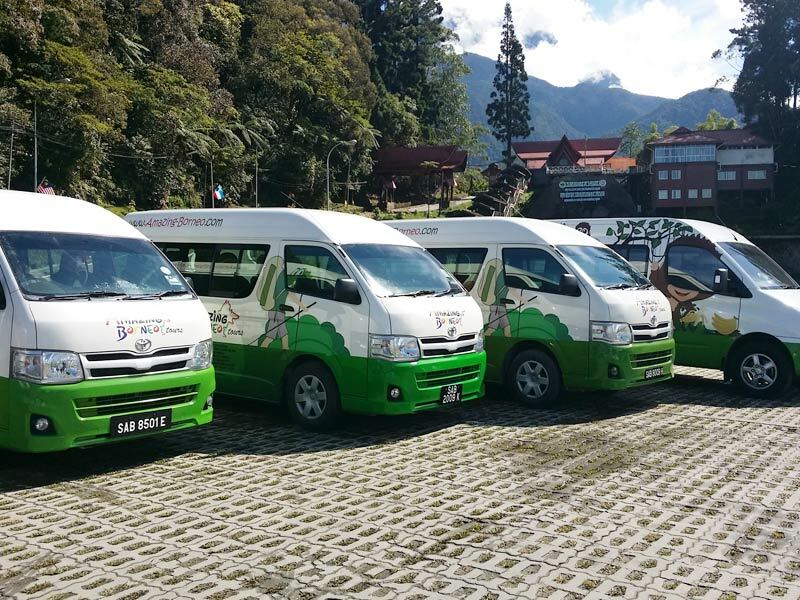 We are committed to maintaining the highest standards of safety as well as promoting the authentic and traditional cultures of Borneo in an environmentally sustainable manner. We future proof ourselves by investing in human capital development and innovation for change to meet our customers’ needs. 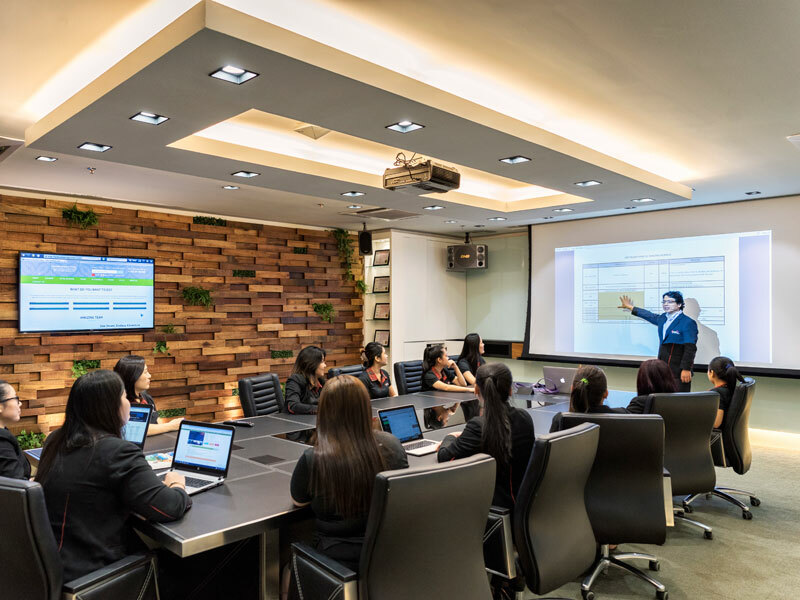 We take pride in upholding a high standard of excellence in all that we do and hold ourselves accountable for results, exceeding customers’ expectations through continuous advancement in our thinking, our work, and services we provide. 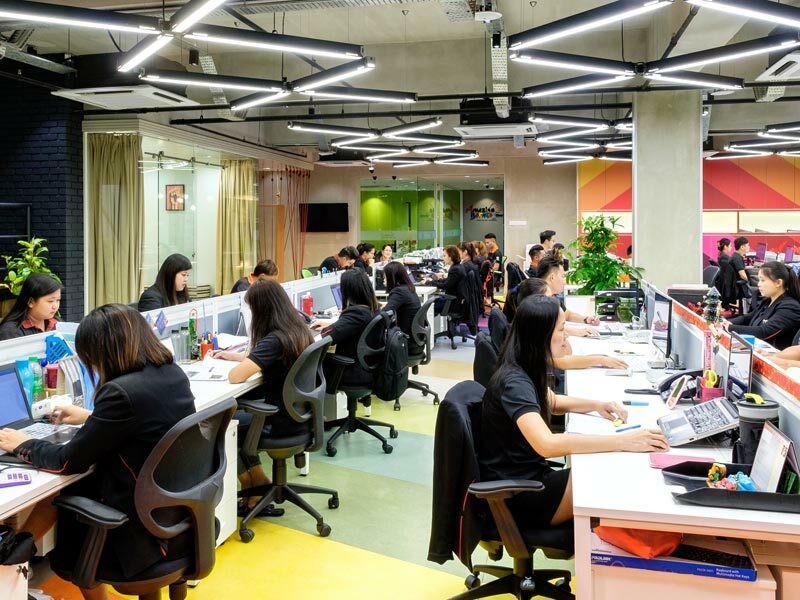 We believe in executing with speed and efficiency whilst maintaining the highest of standards to seize opportunities and become industry leaders through constant innovation. We prioritise the interest and satisfaction of our customers to provide the best possible experiences and value to our customers. 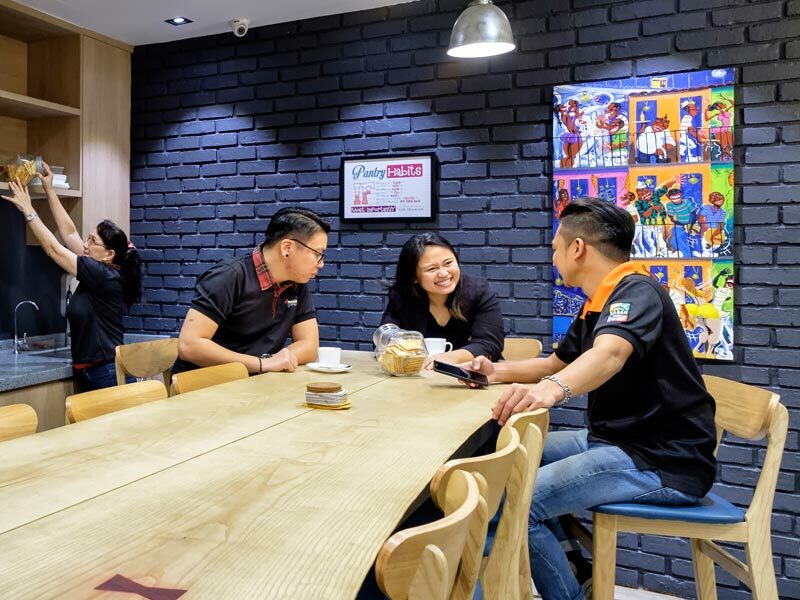 Our Customer-Centric culture propels us ahead of the competition and leads to better customer retention. 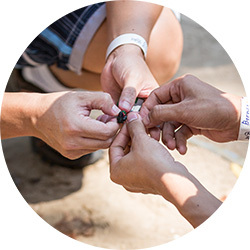 Our success is fueled by genuine employee commitment. This commitment is demonstrated through realising our responsibilities and accountabilities to the company and its leadership. 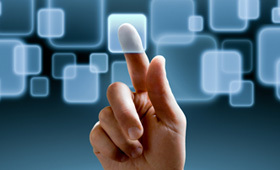 We are fully committed to be innovative and creative to be future ready. 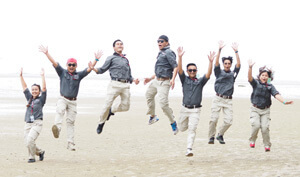 Teamwork in our organization is built on mutual trust and sincere cooperation amongst employees. 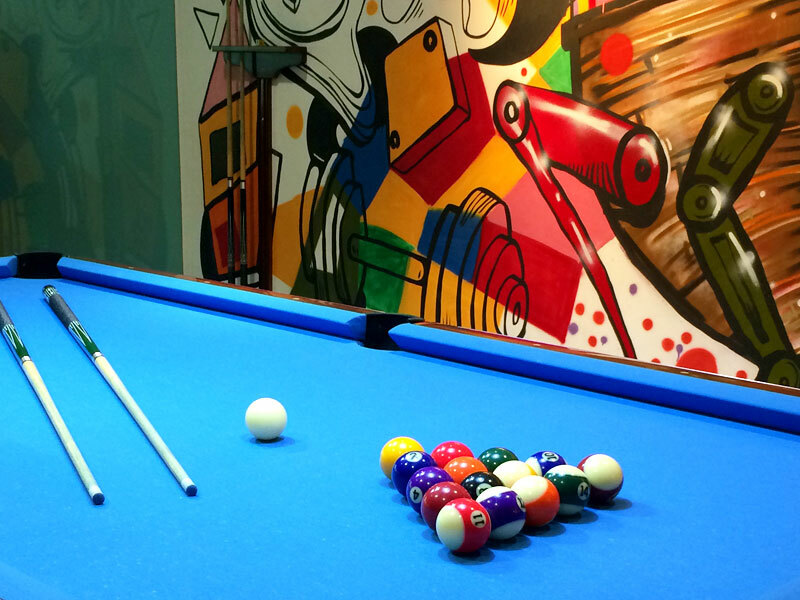 We constantly develop and maintain bonds with our partners, employees and customers. 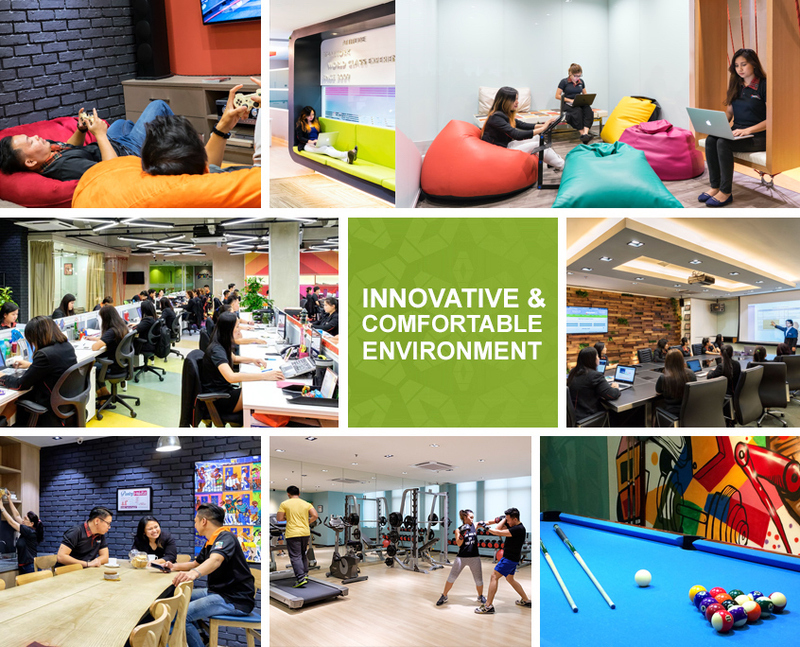 This is what makes our company extraordinary. 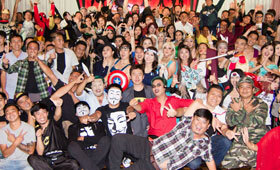 Amazing Borneo Tours & Events Sdn. Bhd. 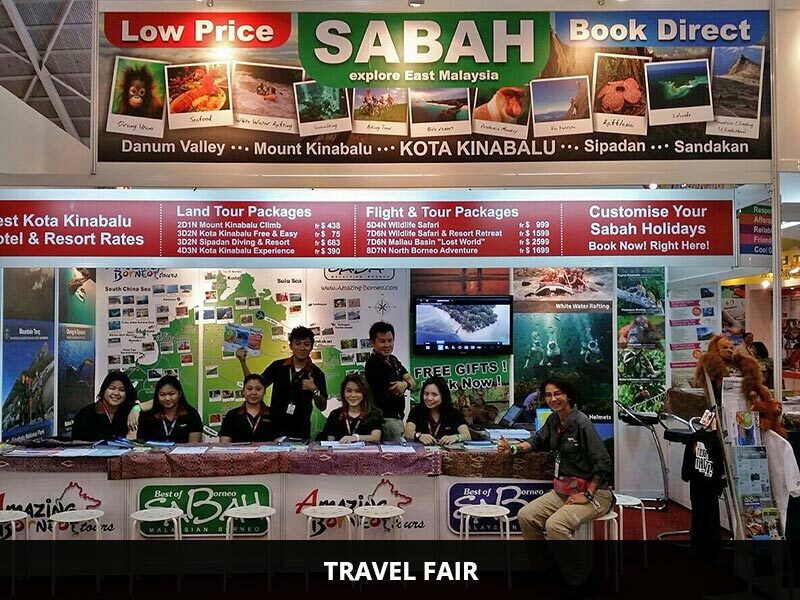 started its operation in May 2009 in response to the growing tourism industry and the need to provide information and resources to the country to promote Sabah tourism to the rest of the world. 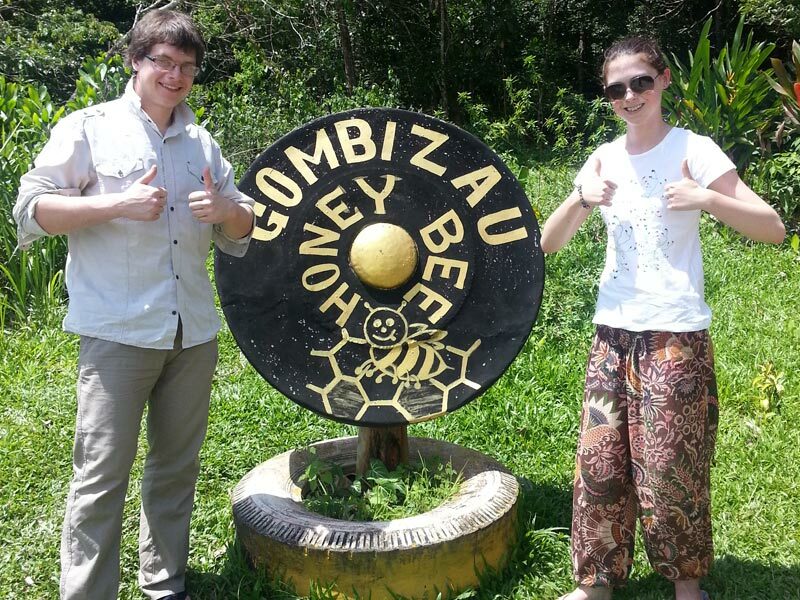 The passion for ecotourism in promoting responsible travel to natural areas that conserves the environment and improves the well-being of local people further prompted the setup of Amazing Borneo Tours. 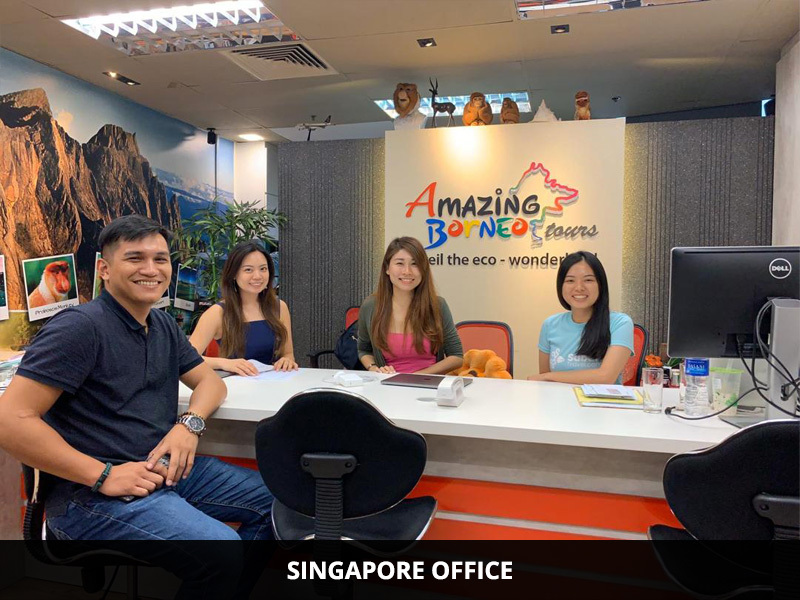 Shortly in June 2009, we expanded our company portfolio by setting up an overseas licensed sales office in Singapore - Amazing Borneo Travel & Events, supported by the Singapore Tourism Board, and further increased our staff strength. 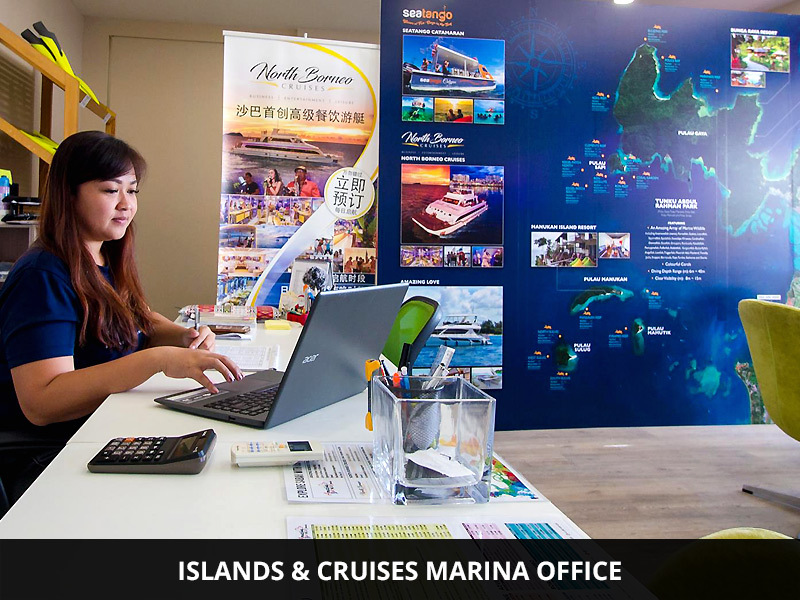 The sales office in Singapore serves Travel Agencies, Corporates, Organizations, Schools, Singaporeans and International expatriates located in Singapore. 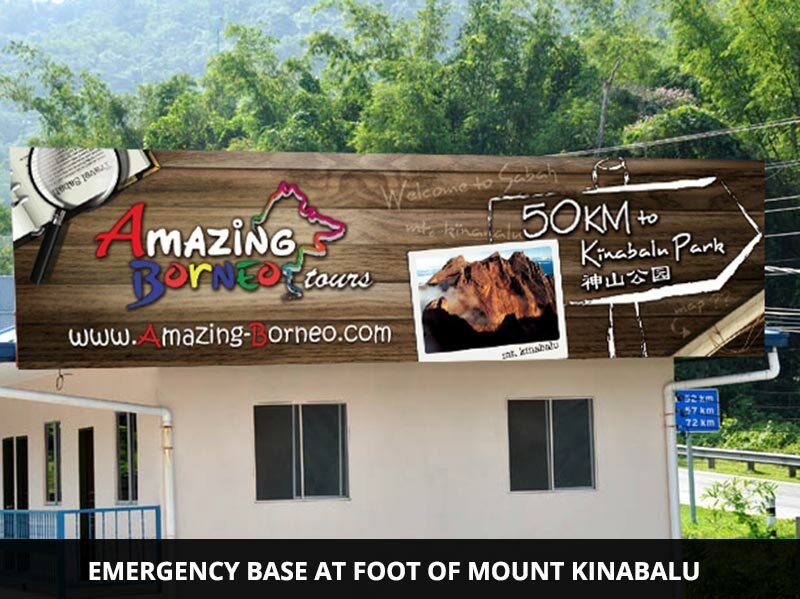 The headquarter of Amazing Borneo Tours is located in Kota Kinabalu, Sabah, East Malaysia. 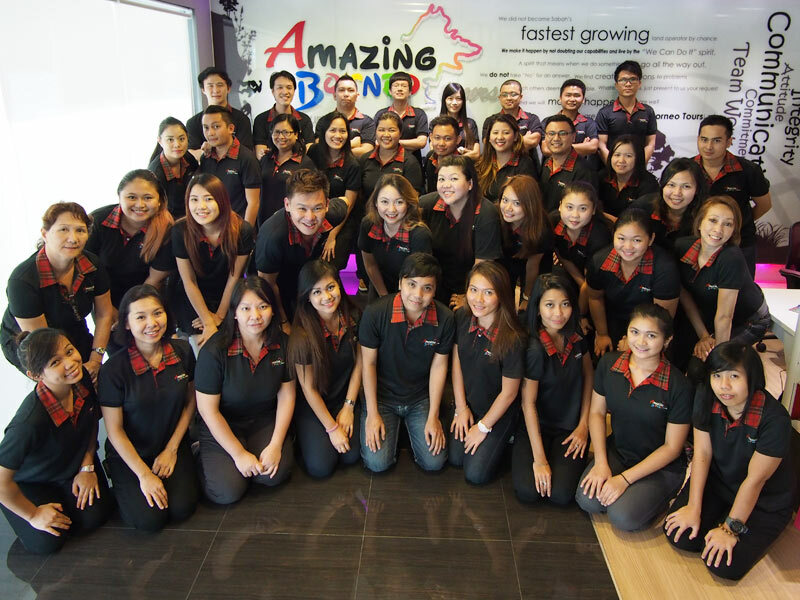 Amazing Borneo Tours employees, partners in our success, make our mission statement come alive in the way they work with every guest. Our guests have responded tremendously. 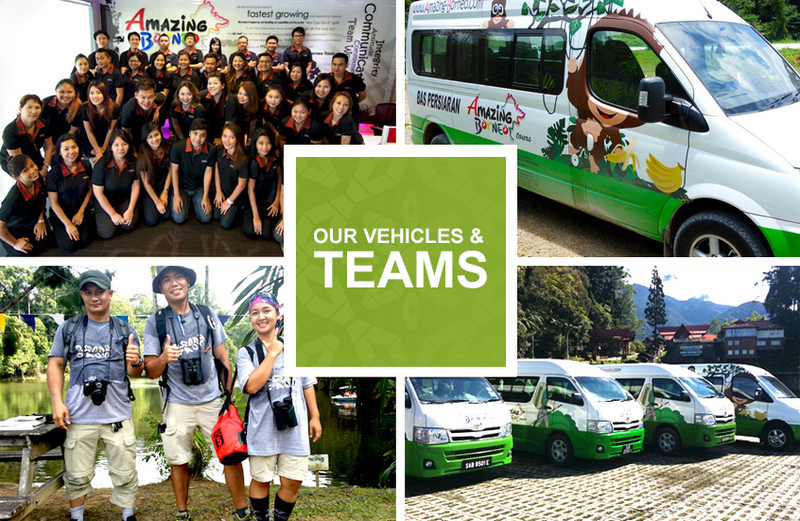 Their support has enabled Amazing Borneo Tours to extend our tour business nationwide. 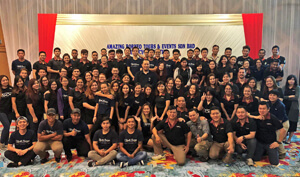 With the entire staff of Amazing Borneo Tours participating in making our vision of distinctive quality and unparalleled guest service real, we are headed for even greater success. Amazing Borneo is immensely proud to announce that after retaining the Tripadvisor Certificate of Excellence for five years in a row, we have now been recognised as winners of the Tripadvisor Certificate of Excellence Hall of Fame. 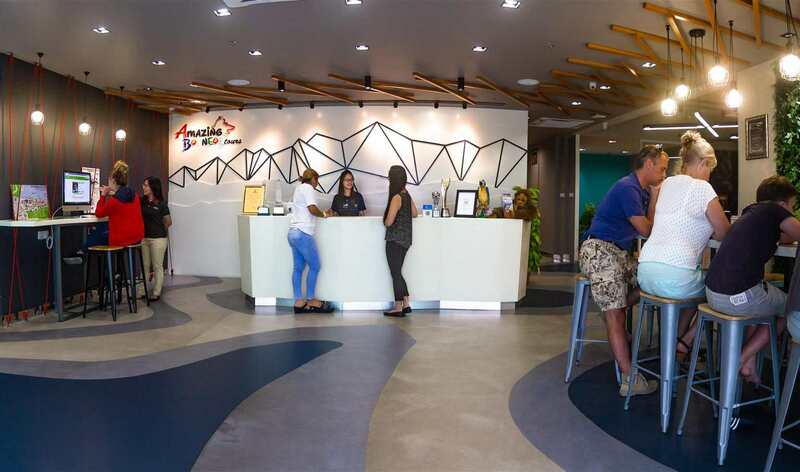 This additional designation demonstrates our continuous drive to deliver superior customer service, and such a testament goes out to all of our guests who took the time to complete a travel review. 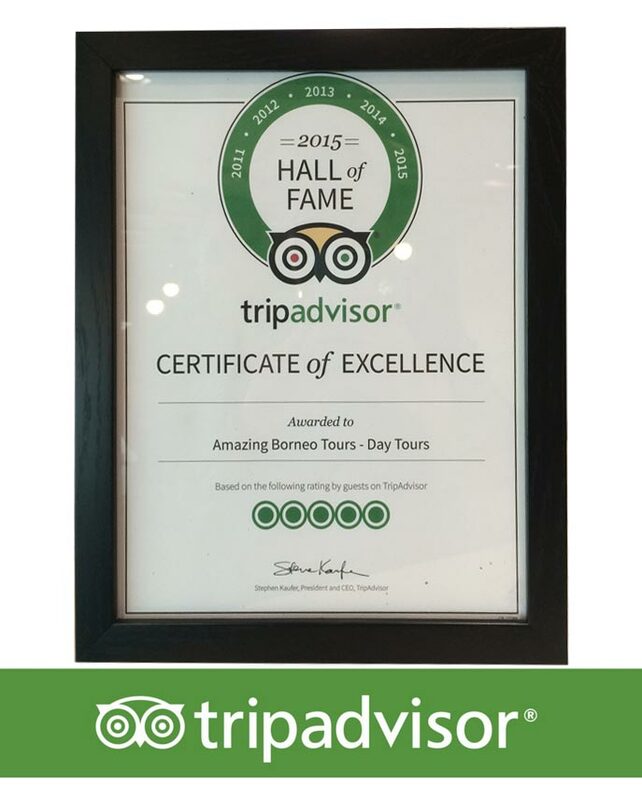 Amazing Borneo Tours is excited to announce that we have received our 8th TripAdvisor Certificate of Excellence. There is no greater seal of approval than being recognised by our guests. 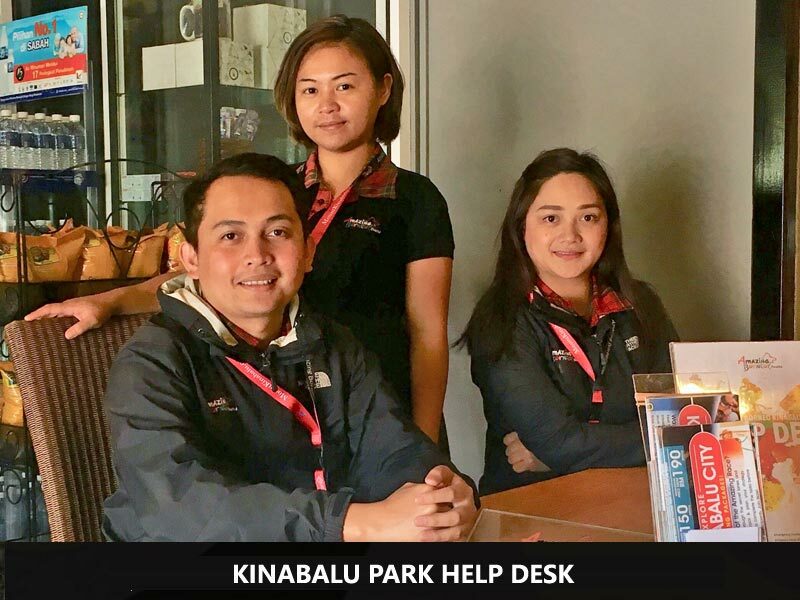 This achievement marks a remarkable vote of confidence in our continuous strive to bring you only the very best travel services and experiences in Malaysian Borneo. 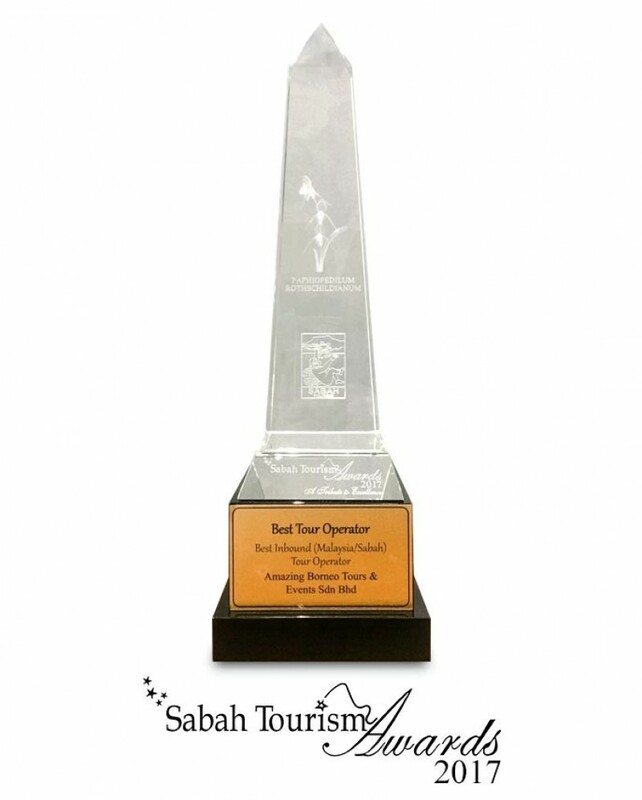 Amazing Borneo Tours is honoured to once again be awarded as the Best Inbound Tour Operator at the prestigious Sabah Tourism Awards 2017. Having won this award for the second time in a row adds fuel to our passion for pursuing our future goals and rewards all of our efforts in maintaining an impeccable record of quality service to all of our guests through endless hard work and dedication. This award motivates us to continue to deliver and improve the excellent service standards to our clients and further contribute to the local tourism industry. 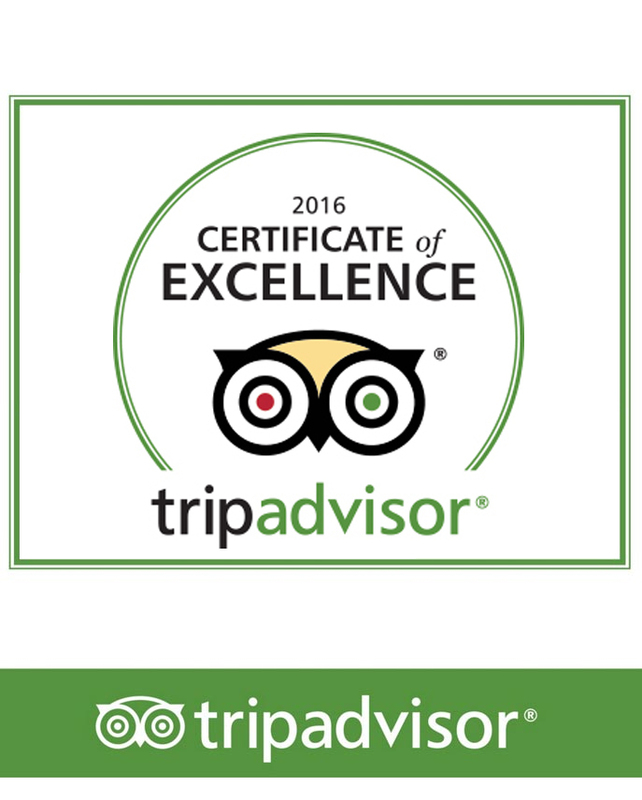 Amazing Borneo is honoured to be once again awarded with the Tripadvisor Certificate of Excellence for the 7th year in a row. This is both rewarding and a remarkable feat in itself as we continuously strive for excellence in what we do. We are humbled by the reviews we received on Tripadvisor as it plays a large role in our mission to consistently provide our guests with quality services and unforgettable experiences. 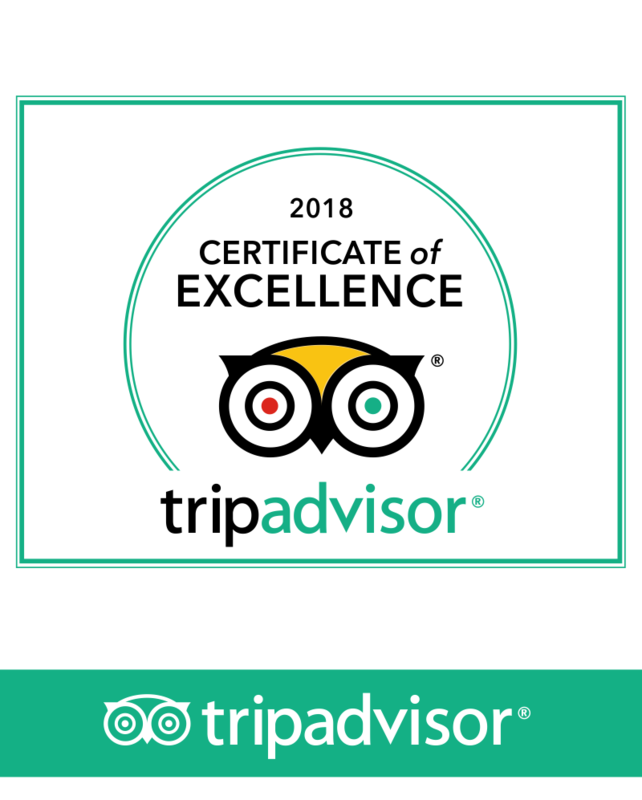 Amazing Borneo been recognised for Superior Service and selected for the 2016 Certificate of Excellence, reflecting the consistently great reviews that we have earned on TripAdvisor. 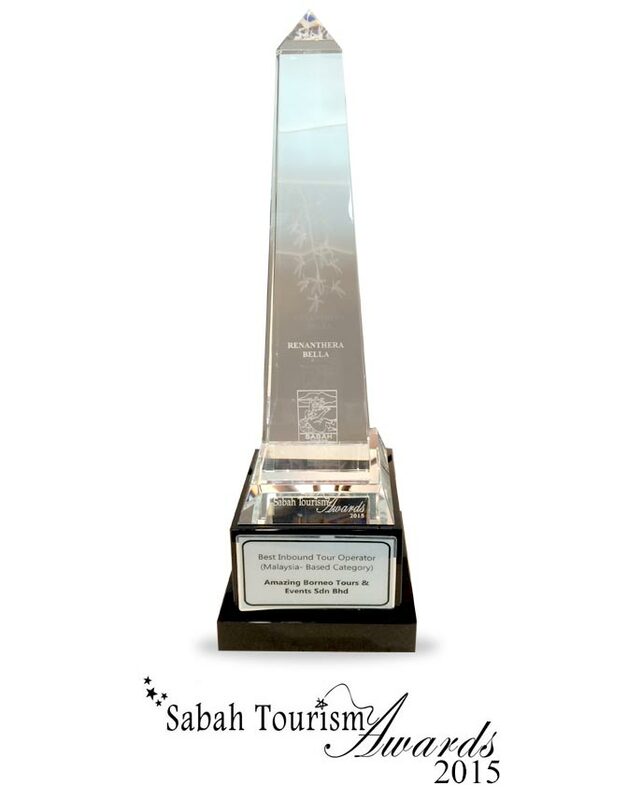 On 8th December 2015, Amazing Borneo was once again surprised with a special recognition by the Pembangunan Sumber Manusia Berhad, under the Ministry of Human Resources. 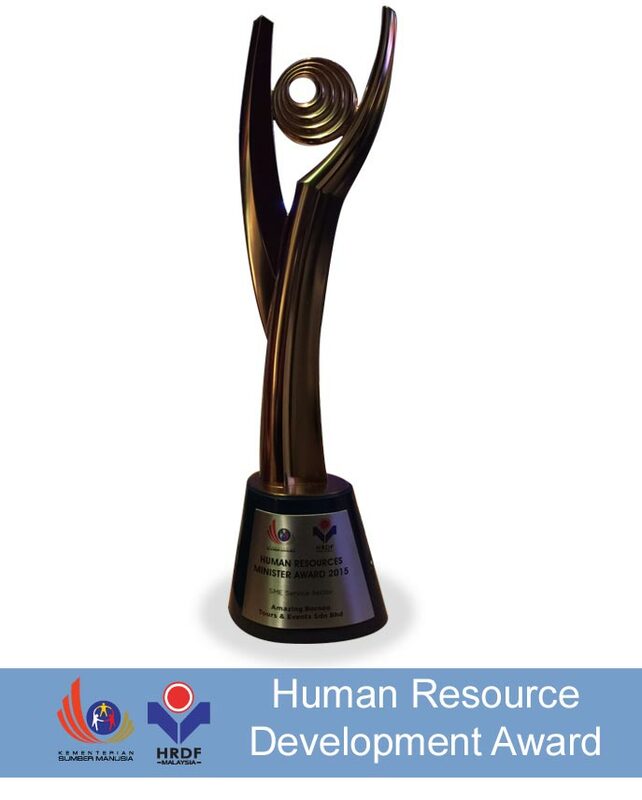 Amazing Borneo has won the Human Resources Minister Awards - for the Small and Medium Employers (SME Service Sector). This is a great testament of our hardwork and dedication as a small and medium enterprise. 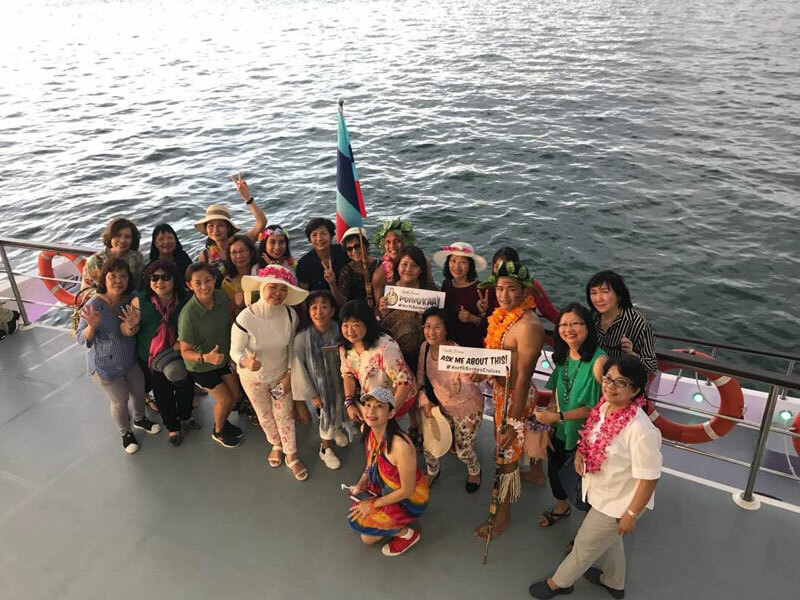 We are still looking to grow and make our mark in the tourism field and hopefully, gain more recognition as a prominent industry player in the future. 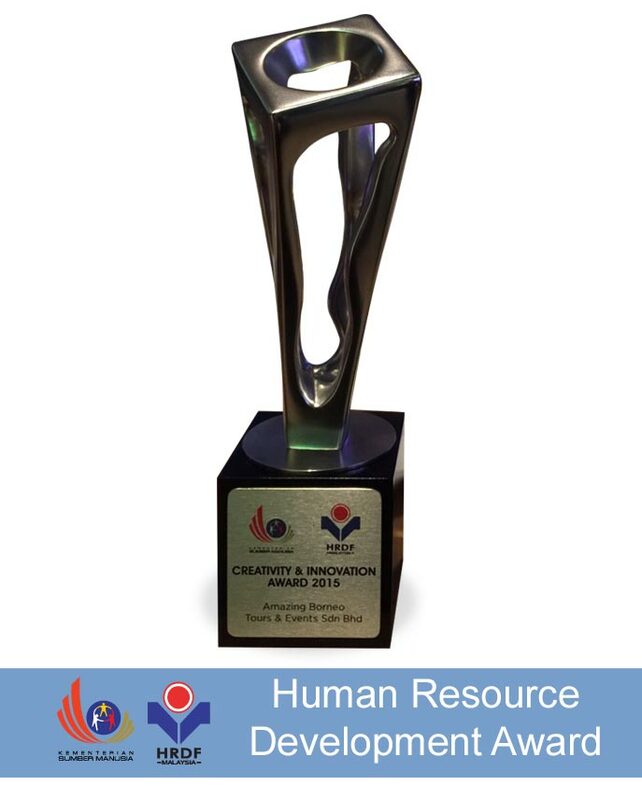 In addition to the Human Resources Minister Awards - SME Service Sector, Amazing Borneo has also been presented with the Creativity and Innovation Award 2015. 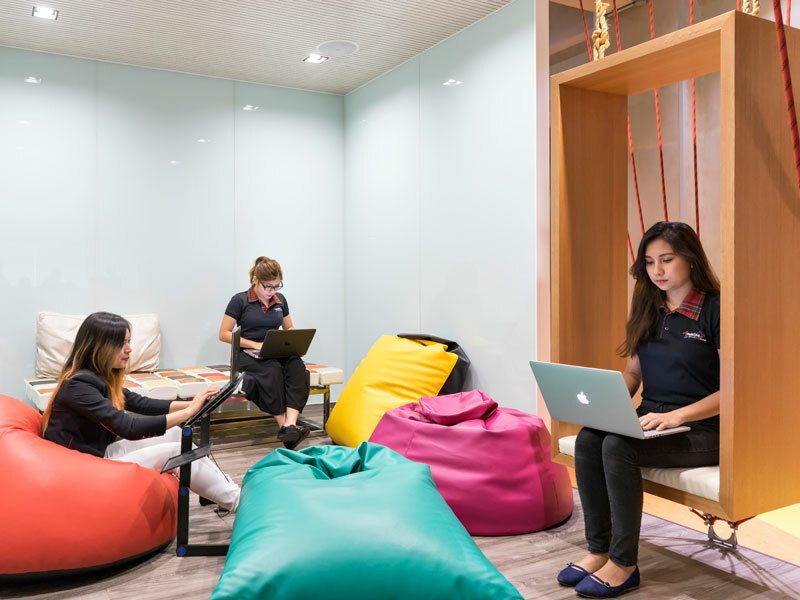 As a company, we strive to be unique and offer a working environment that is teeming with creativity. 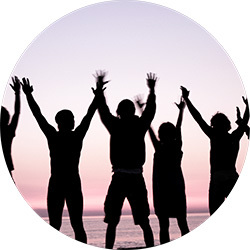 We want our team players to feel motivated and energized at work so that they will be passionate with their work. 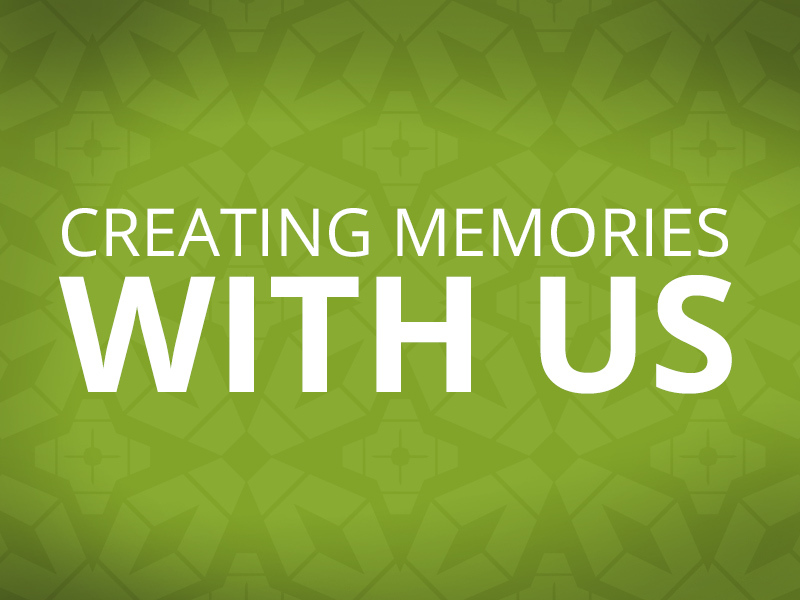 To us, creativity and innovation is a way of life, therefore, we will continue to nurture creativity in our company. 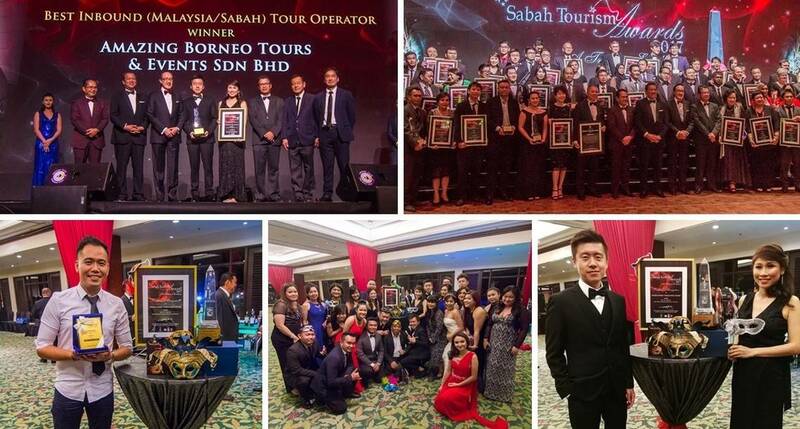 Amazing Borneo Tours was delightfully surprised when we were presented with the Best Inbound Tour Operator award during the prestigious Sabah Tourism Award 2015 event. 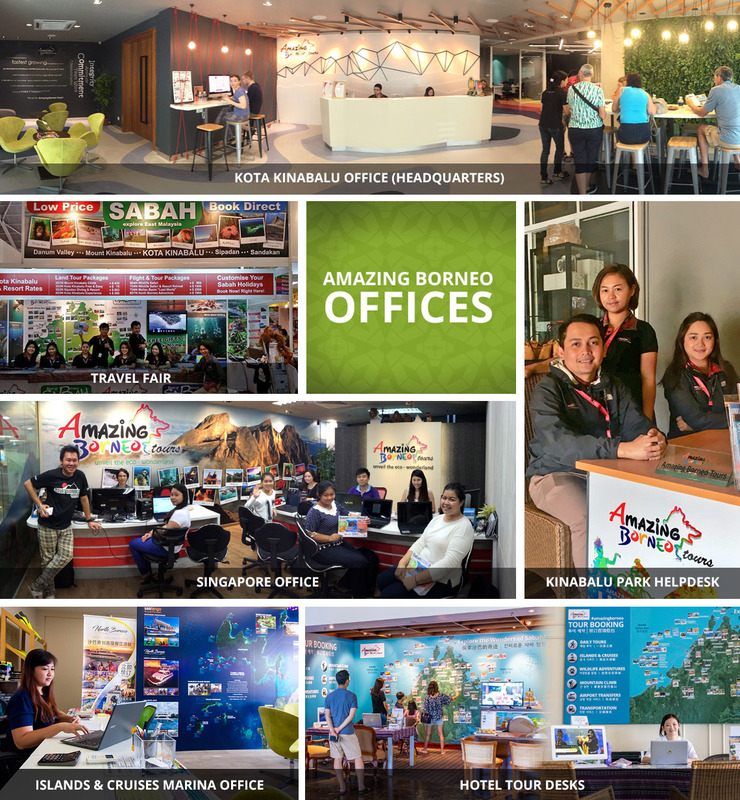 This goes to show that our dedication and working culture in Amazing Borneo has made an amazing impact, not only within our four walls and onto our guests, but also onto the tourism industry as a whole. 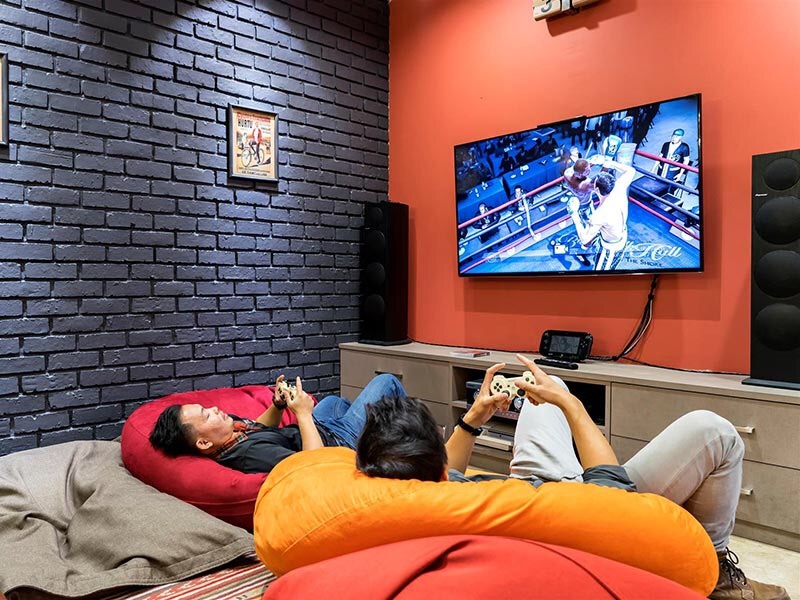 We promise to work harder in the future in order to ensure that Amazing Borneo will continue to contribute to Sabah and its fast-growing tourism industry. 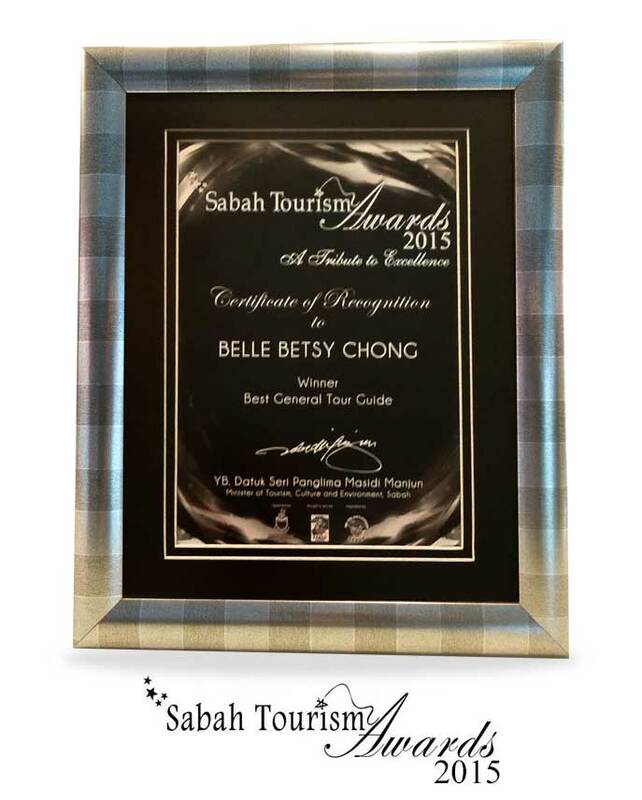 One of our amazing tour guides was awarded the Best General Tour Guide at the Sabah Tourism Awards 2015 event. 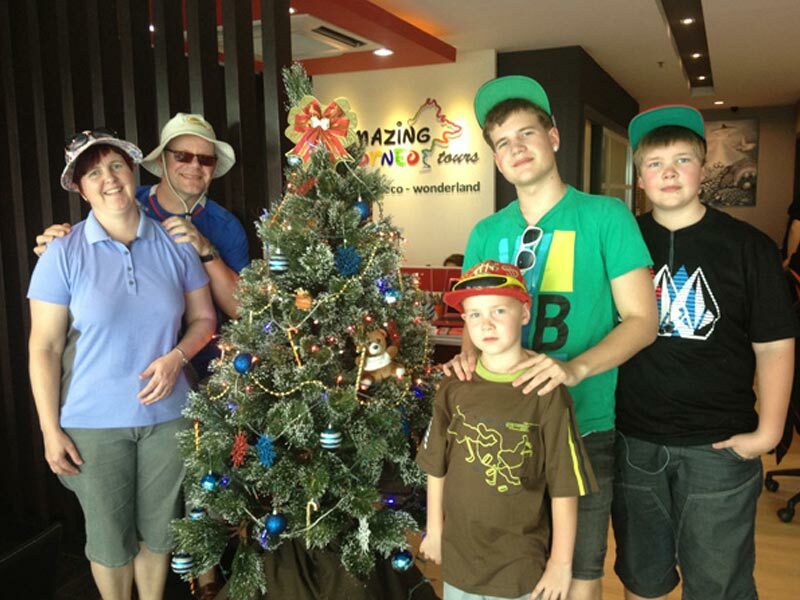 In Amazing Borneo, we nurture a culture of warmth and familial closeness, topped by passion and enthusiasm in what we do. 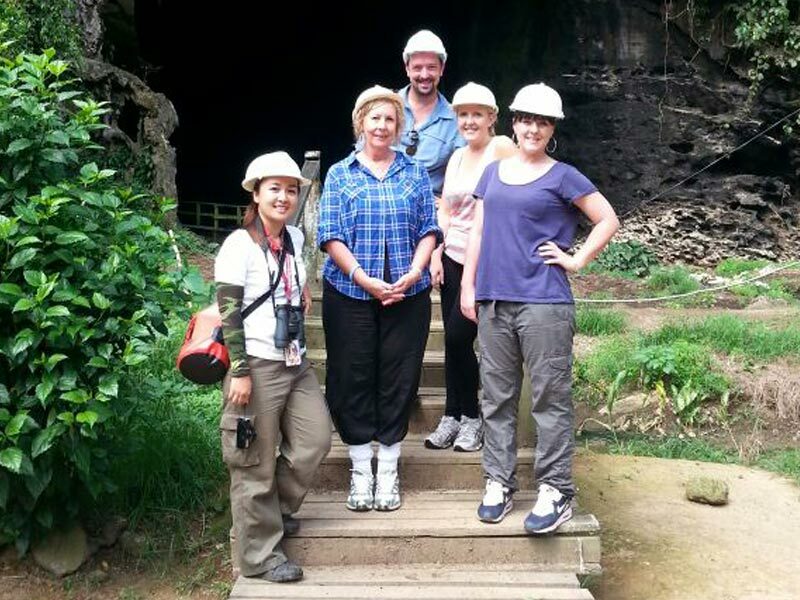 Our tour guide is certainly an excellent epitome of what Amazing Borneo is all about. 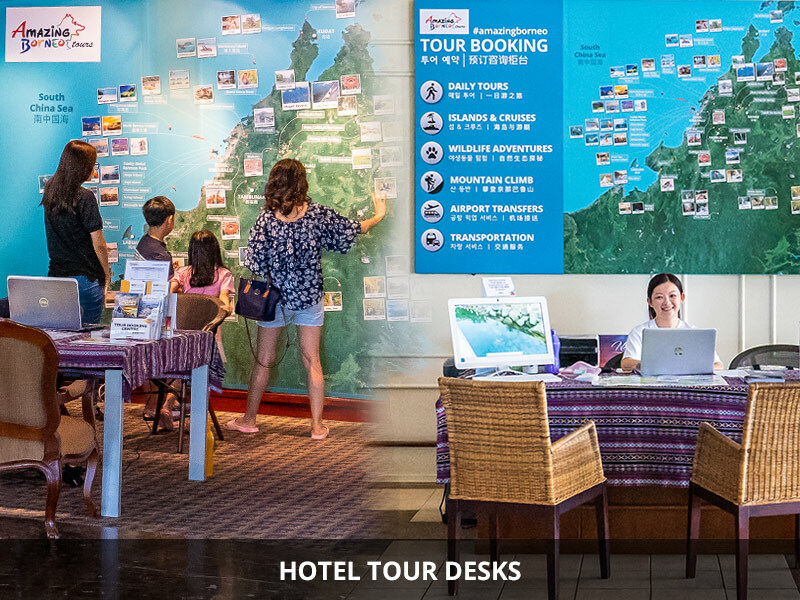 On top of being awarded with the 2015 Tripadvisor Certificate of Excellence, Amazing Borneo Tours has also been included in the Certificate of Excellence Hall of Fame, which is a testament of our consistency in providing quality services for many years. 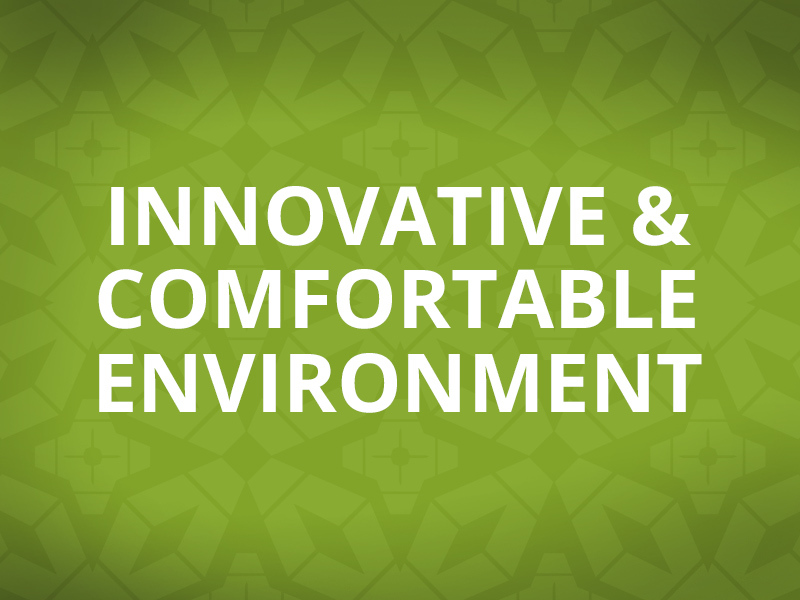 We deliver our products and services with passion, hence, this dedication breeds excellence. 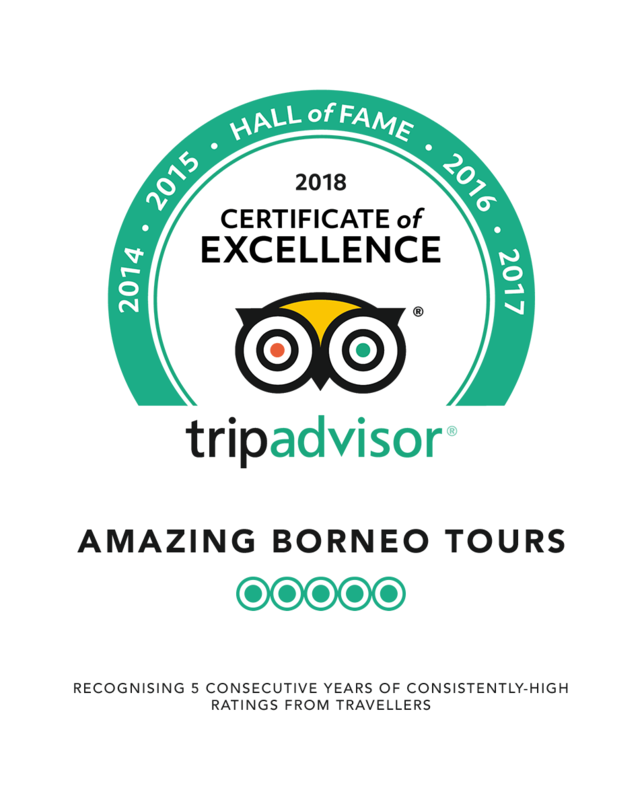 Amazing Borneo have been awarded with the 2014 Tripadvisor Certificate of Excellence based on the number of great reviews that we have received from our guests. This recognition acts as an affirmation of our tiptop service and the quality that we deliver in all of our tour products. 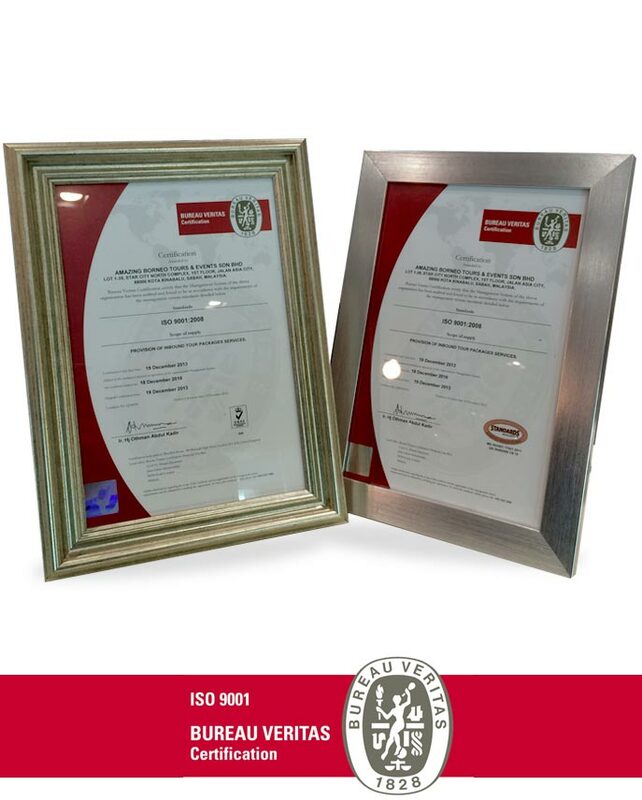 As of 19 December 2013, We have been certified ISO 9001:2008 for "Inbound Tour Packages Services" under Quality Management System! 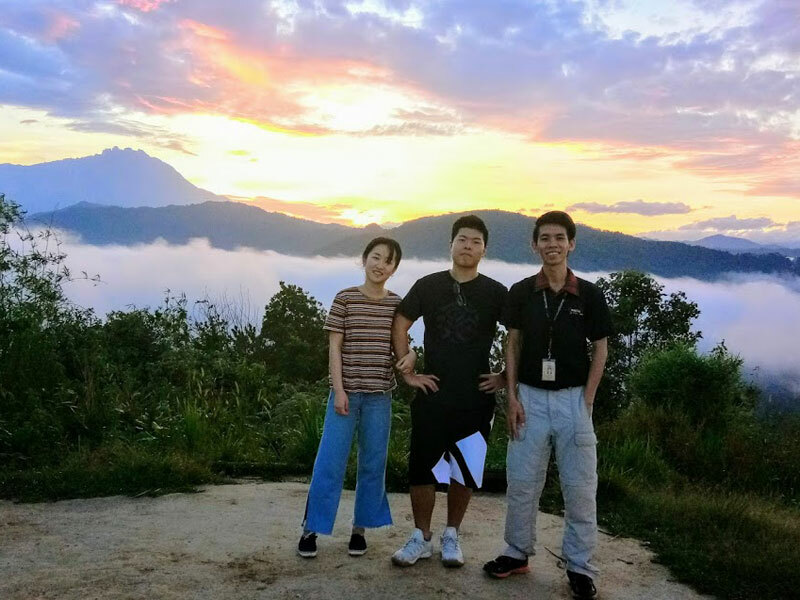 This is exciting news as it position us as the FIRST and THE ONLY tour company in Malaysia to receive such ISO (International Organization for Standardization) certification from Bureau Veritas, the most widely recognized Certification Body in the world. 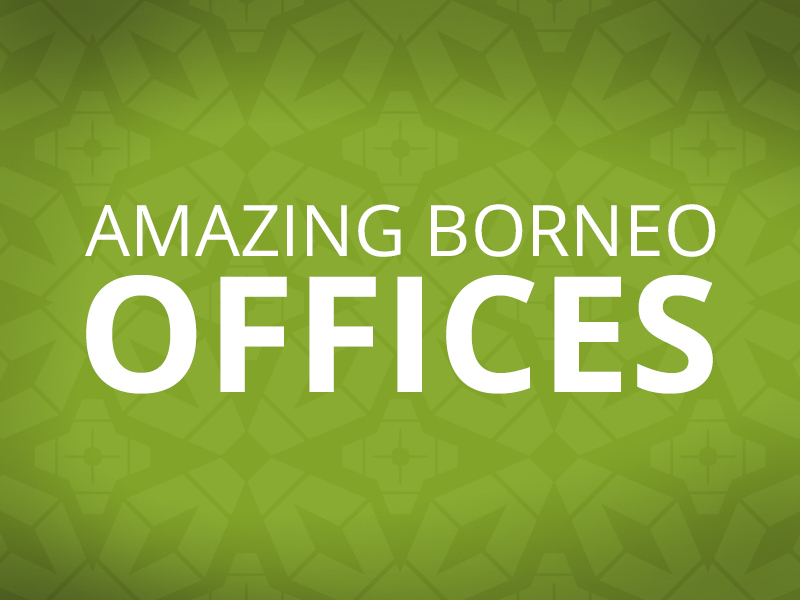 This certification is a testament to Amazing Borneo's commitment to its customers on Service Excellence. It will ensure that customers continue to get consistent, good quality products and services from us. We are so proud to be awarded with the Tripadvisor Certificate of Excellence 2013 - marking our third year winning an award, which is determined based on use reviews. 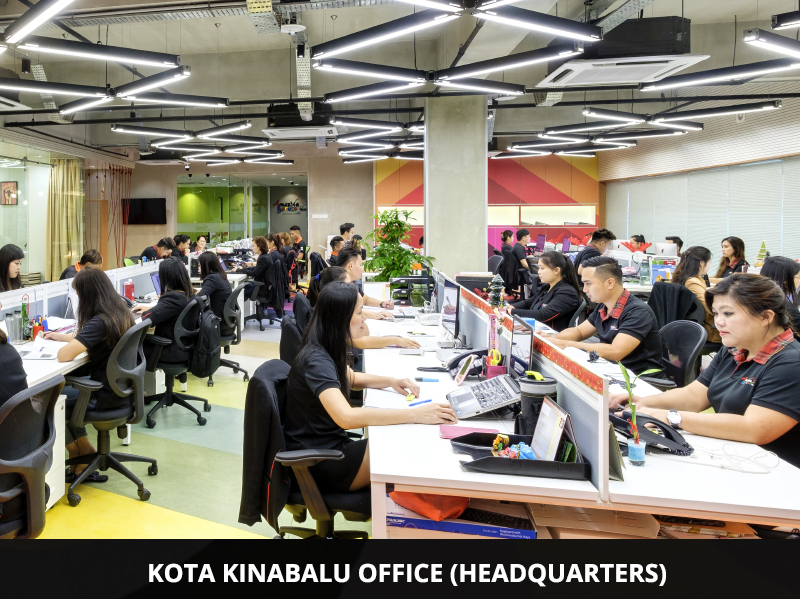 We are affirmed that we are definitely moving forward as a company and as a family, delivering the best services in the industry and making Sabah proud of our reputation so far. After our first Tripadvisor award in 2011, we went on to win another Certificate of Excellence award by Tripadvisor in 2012, proving to everyone that we have indeed continued to thrive and evolve in terms of quality and the services that we deliver to our clients. 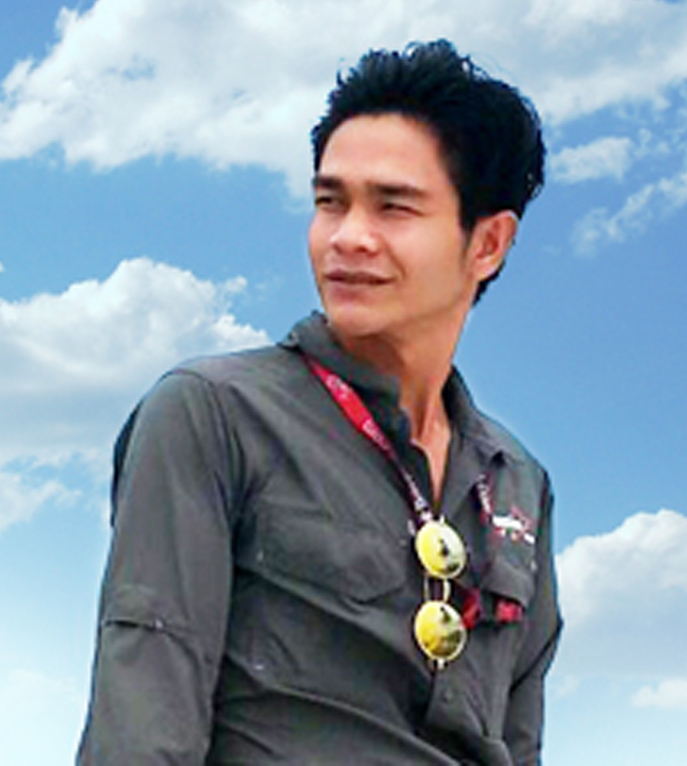 For us, the sky is ultimately the limit and we strive to go far in this industry. Two years after Amazing Borneo Tours started its operations, we finally received our first award in the form of the Tripadvisor Certificate of Excellence 2011. 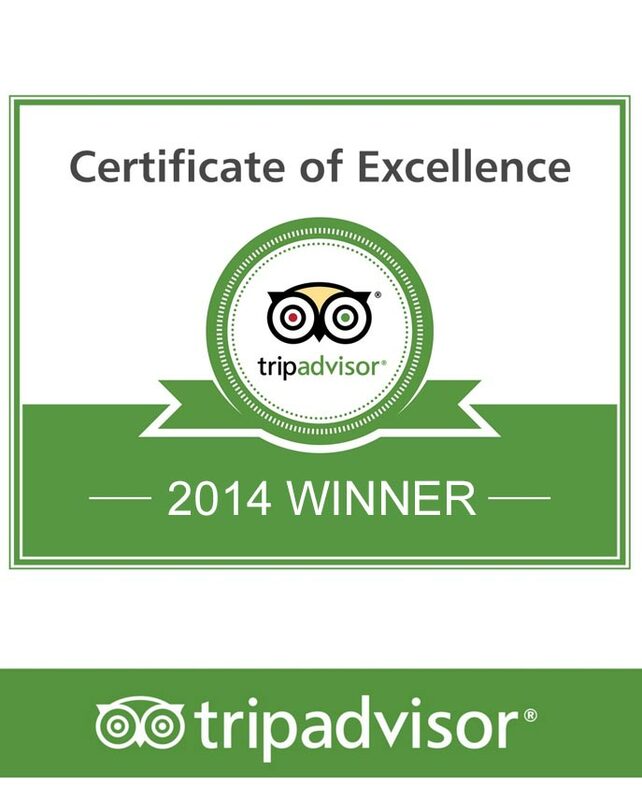 We are thankful to our guests who have given us excellent reviews on Tripadvisor, hence, earning us this recognition. We promise to work harder each year and continue to grow in terms of quality. “Improvise, Adapt, Overcome”─ A mantra he learned while growing up in the wilds of Tabin, Borneo. Joel’s Dad was a wildlife officer, the jungle was his backyard and tagging along on expeditions was the ultimate day-out. Birding with Joel is also an interesting affair, as he has some impressive vocal chords that could definitely catch a bird’s attention, so ask him to sing you a tune or two when you see him! 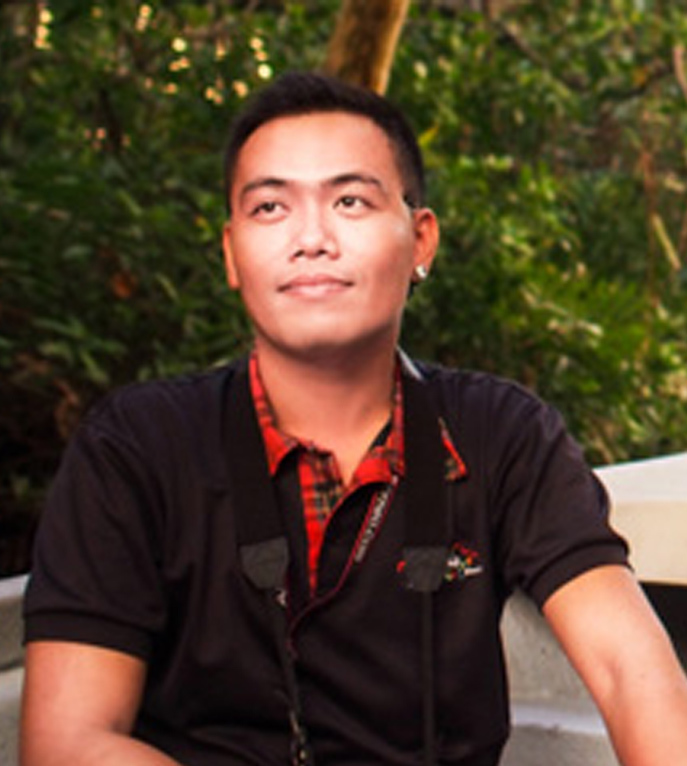 Tan’s love for travelling and photography is what fuels his passion as a tour guide as it allows him to travel throughout Sabah. Always seen snapping photos of scenery, flowers, and birds, it truly encapsulates his quote “Never Underestimate the Beauty of Sabah”. 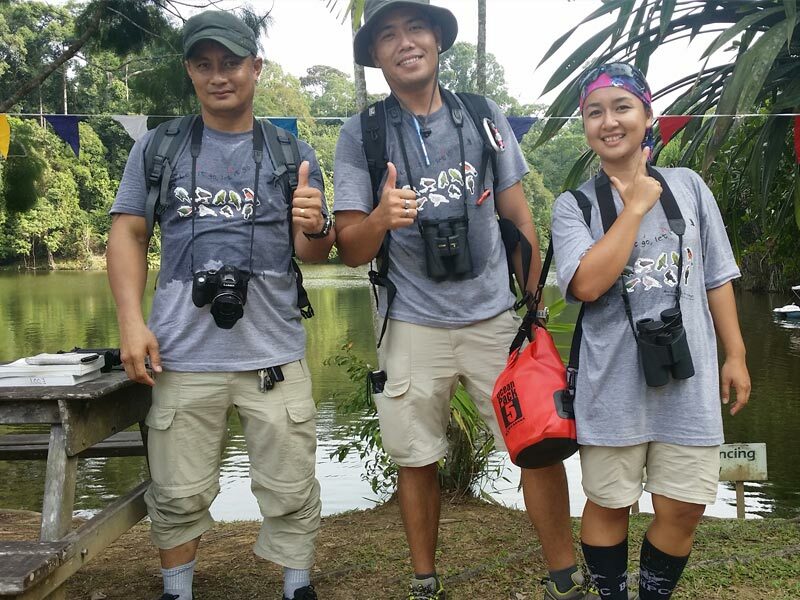 Like a true Sabahan, Tan enjoys either hiking, trekking or running through the jungles of Borneo. 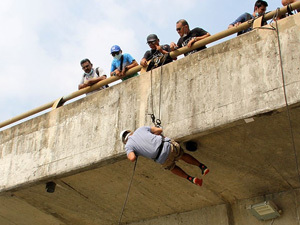 But don’t worry, he won’t be running away during tours and is ever-ready to deliver impeccable services to our guests! “Routines are Lethal”. 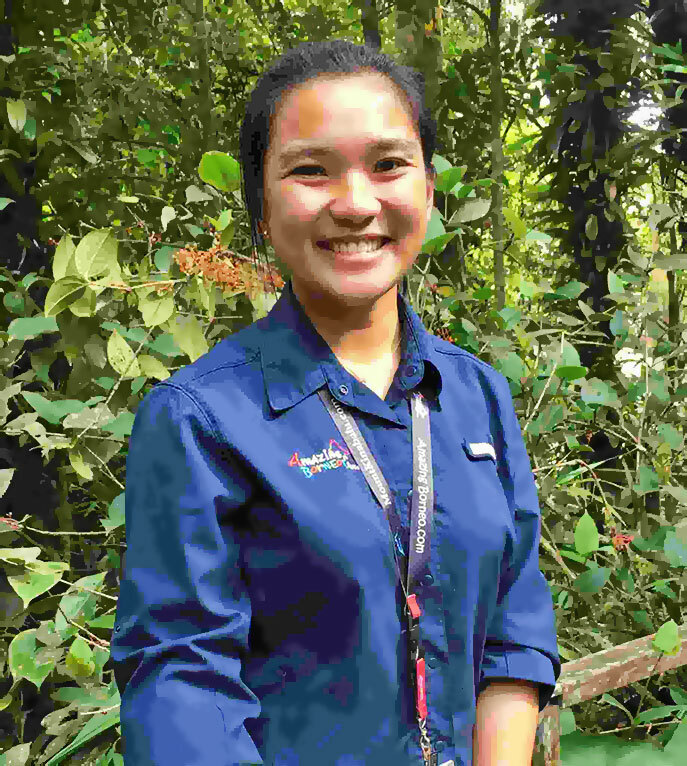 After spending 5 years as an engineer, Luq traded her electro-engineering degree for a life of cultural exchange and being immersed in the great outdoors. 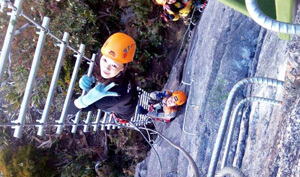 From alpine rock-climbing to jungle-trekking to para-gliding, she embraces her passion and overcomes her fears through travel. 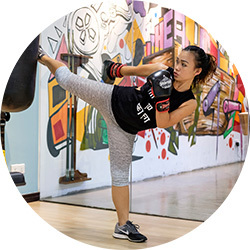 To her, travel isn’t only an outward experience, it is a personal one involving self-discovery too. David is an explorer; always keen to travel the world, and never shying away when offered new food to try! 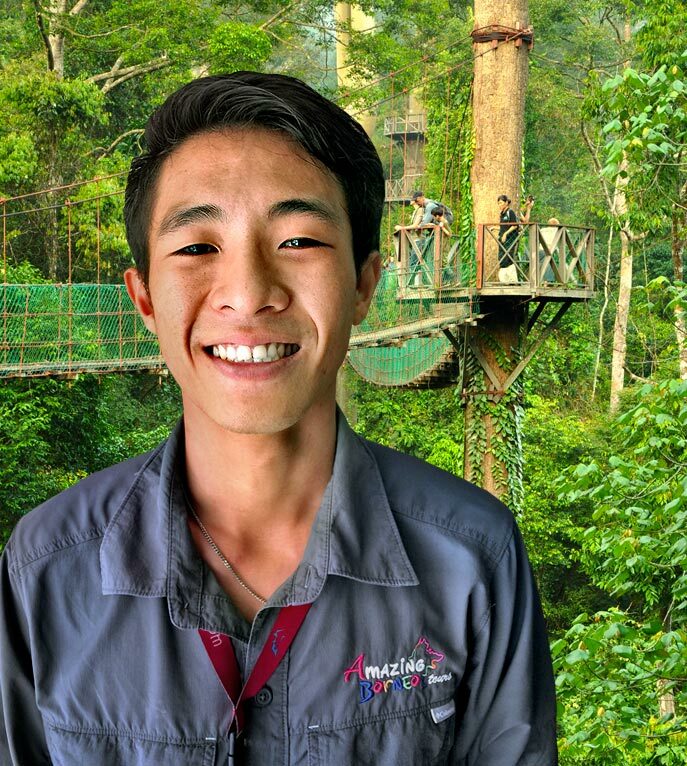 His job is something he looks forward to everyday as it allows David to test his ever-growing skills as a tour guide. 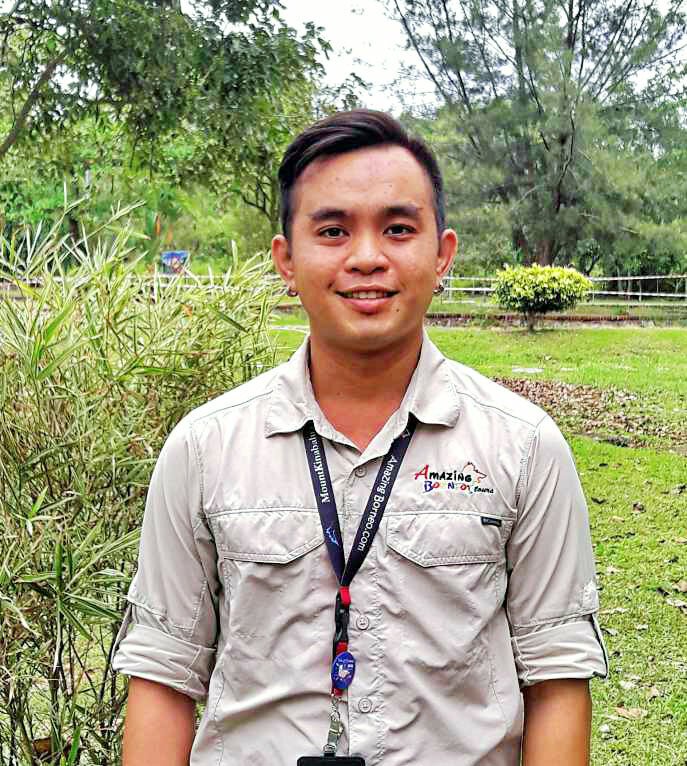 He loves meeting new people and is enthusiastic about sharing his knowledge on Sabah, its culture, and people to guests. 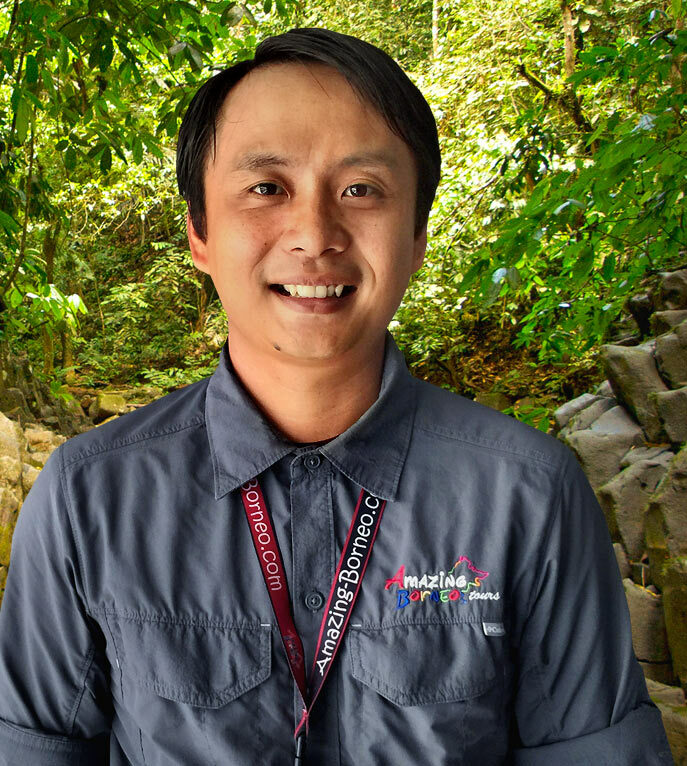 From high up in the mountains, deep down in open waters, and through lush rainforests, David will be your walking compass! As a person who loves to eat, Neil probably is one of the best companions you’ve could ever ask for when it comes to food hunting. 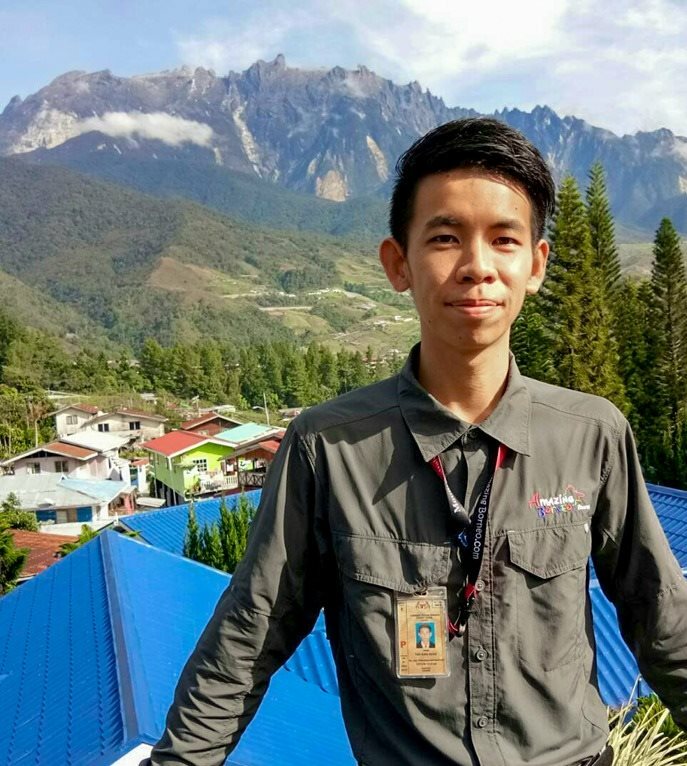 His vast knowledge about Sabah and its people is something everyone would dream of when you set your foot on other countries. 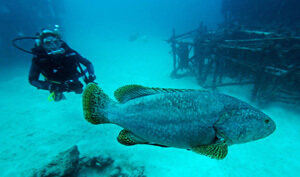 His friendliness will leave a big smile of satisfaction on your face at the end of the day. 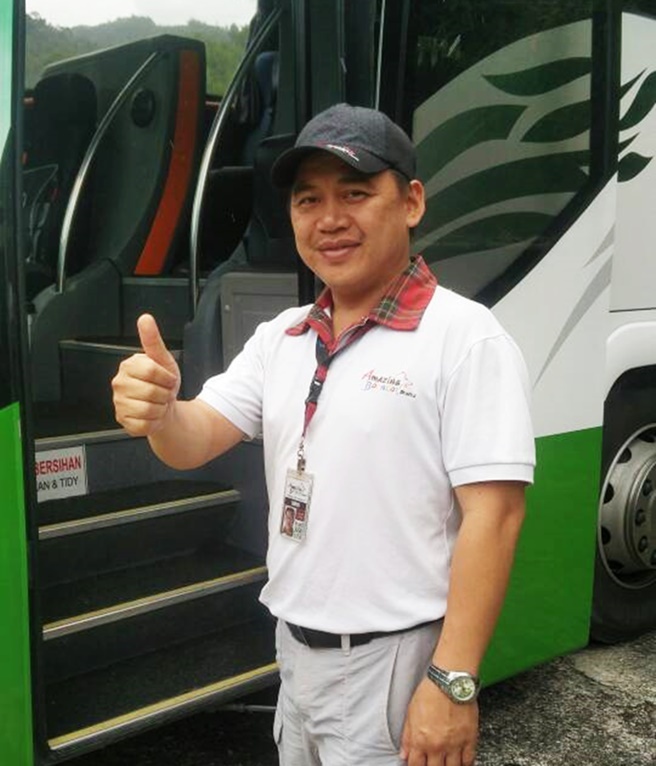 Like someone who dares to face any challenges, Neil is the one you are looking for in Sabah. His charming smile is something you should never forget too. Optimistic, that's the first thing to come across your mind when you first met her. Seeing an opportunity in every difficulty along the way in her career is what keeps her fueled up. 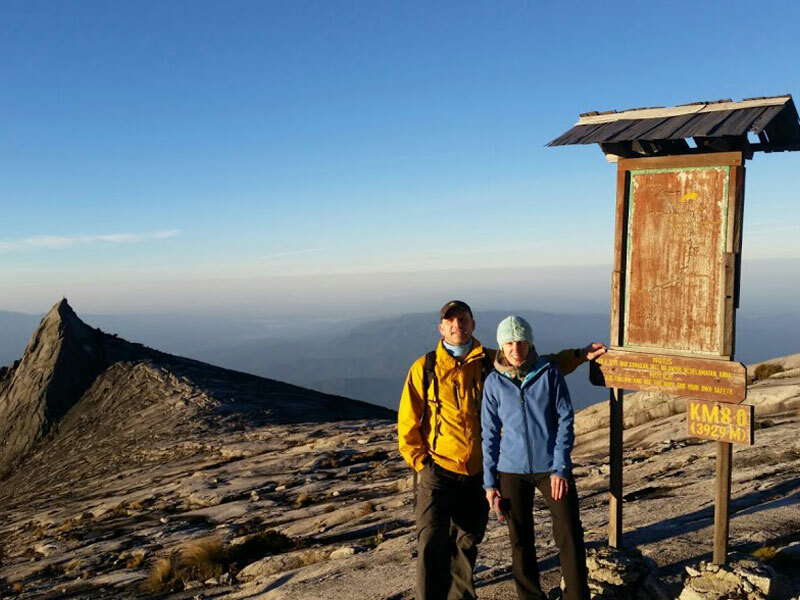 Self-esteem as high as mount Kinabalu makes her a confident person to lead you to explore the best of Sabah. 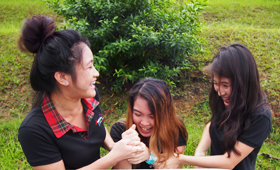 With her around, you will up with laughter and joy. What more could’ve you ask for when you travel.